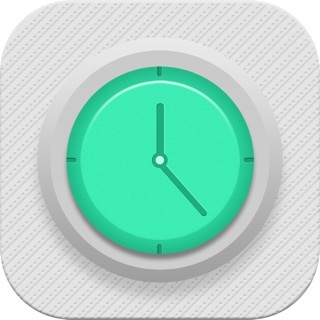 Established in 2010, thousands use Dosecast, the most flexible and easy-to-use app for the iPhone, iPod Touch, and iPad to help you remember to take your medications, vitamins, or birth control pills on time. Dosecast has been featured in Real Simple magazine and Reader's Digest, and declared best-of-breed by the New York Times. Dosecast reliably sends dose reminders with or without an internet connection. Dosecast also tracks the time zone you're in when travelling and adjusts reminders accordingly, so you get notified correctly no matter where you are. 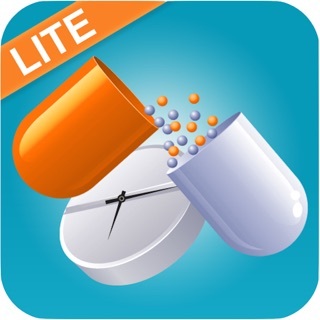 Some apps can only remind you to take your medication at the same time every day. Only Dosecast helps you take doses on a daily/weekly/monthly schedule, every X days/weeks, or even after a pre-set number of hours or days since the last dose. Plus, you can avoid dangerous overdoses by setting a maximum number of doses allowed per day or per 24 hours. With Dosecast, set the drug name, dosage information, directions, and notes that appear in the reminders for each dose. With Dosecast, you can postpone a reminder before or after it goes off - by however long you need. Dosecast tracks when you're sleeping and when your treatment begins and ends, so there are no unwanted alarms. No personally identifiable information is collected when using Dosecast, so you can keep your information private. All drug information is encrypted when in transit so using Dosecast is safe even from a public access point. The Dosecast CloudSync service automatically keeps all your drug data up-to-date across an unlimited number of devices and enables dose reminders to be delivered to all devices simultaneously. With Dosecast, you can track drugs taken via injections, inhalers, drops, sprays, ointments, patches, and liquid doses. You can even add custom drug types for tracking just about anything! Dosecast logs the date and time of doses you take, skip, or postpone so you can view or email the history at any time. It even logs late and missed doses so you can accurately track your drug compliance. Dosecast tracks the remaining quantity of each drug you enter and delivers a refill alert when running low. It will even track the number of refills remaining and alert you when you have no refills left! With Dosecast, you can assign specific medications to different people (or even pets). Sort your medications by person, time of next dose, drug name, or drug type - so you can keep your whole family's medication schedule organized. With Dosecast, you can use your contacts to track which doctor is prescribing which drug, as well as track the pharmacy and prescription number for each. With Dosecast, you can take a photo of each drug to identify it more easily. With drug photos, you can be sure you're taking the right drug when a dose is due. Confidently take the right drug, the right way, at the right time, every time with Dosecast! Updated UI and added Take Dose+Log with feeling. Dosecast: “Life” kept my attention so rivited to do things that I “must do”that I sometimes forgot my own needs for taking the medication that I had been instructed was necessary...not just to take them, but at specific times so that my blood level would remain constant. I found that virtually impossible to do. There were too many other things, such as being care-giver for my husband. Try as I might I could not remember to take my pills properly, and I got away with it for a period of time… until I suddenly popped a clot one of my kidneys destroying half of that kidney. I ended up in the ER and then was admitted to the hospital. I learned a very expensive lesson that day. And then my sons suggested Dosecast which would remind me, via my cell phone,to take my pills throughout the day. I found it to be a miracle worker. No more worries about whether or not I took a pill and forgot it or to take the pill in the first place. This one is a no-brainer. It is either live with Dosecast or gamble with the alternative without it. I am so fortunate that that clot went to my kidney, and NOT to my brain, causing a stroke...or worse. This useful app is a necessity in my life. This is my first ever app review. I’m not usually one to take the time to leave a review, but I’ve had this app for years and I’ve decided to leave a review because it has become so important to my life and general wellbeing. I have several health problems that I need to take medication for at regular intervals, and I have the attention span of a goldfish. With my medications, missing a dose by even 30 minutes can mean the end of my productivity for the day. This app does everything I need it to do without ads or having unnecessary options that overwhelm and detract from the main purpose. I set it to remind me to take a medication at set time intervals, a secondary reminder in case I miss the first, and limit on daily doses. That’s all I need and this app does it perfectly. Thank you to the developer for creating and maintaining this app and for keeping it free without all the ads that so many other apps have. 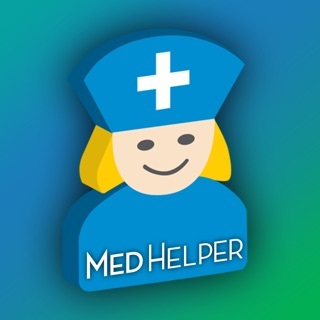 I have a large medication profile that includes several complex SIGs that no other medication tracking app can handle? I have used Dosecast for 5+ years and during that time I have downloaded and purchased when necessary every other med tracking app in the app store. None of them offer the flexibility that Dosecast does. Without Dosecast I could not track my medications perfectly, if you have a large and/or complex med profile I strongly recommend you try Dosecast. The only issue I've ever had is with syncing between devices but support recently helped me understand the issue and resolve it. With that issue having been resolved for me I am changing my review back to 5 stars since the sync issue I was having was the only reason I had changed my review to 4 stars.